There are steps which must be followed in a timely manner to obtain a New Jersey Lottery License and have a smooth transition during the purchase of a business. At least 45 days before closing, the seller of the New Jersey business must send a letter to the New Jersey Lottery district office. The addresses of the district offices can be found here. The letter must include information regarding the pending sale including the seller’s name, address, home phone number, cell phone number, and work phone number, as well as the buyer’s name, address, home phone number, work phones and cell phone number, and the anticipated closing date. 10. The social security number and driver’s license for all people on application. The Lottery Division will conduct a background check on all people listed on the application. It is important to familiarize yourself with the laws governing lottery licenses. There are many reasons for denial of an application for transfer of a lottery license. Of particular importance when applying for a transfer, the executive director of the division of the state lottery may deny an application if it contains knowingly false of misleading information, or the application is incomplete. 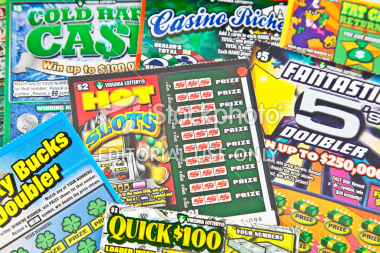 Additionally, the persons listed on the application must meet the necessary criteria including: having never been convicted, arrested, or indicted for a crime, disorderly persons offense, or violation of an ordinance or administrative regulation which would related adversely to the duties of a lottery agent. These are very broad standards. It is advisable to meet with an experienced New Jersey business attorney prior to filing any application for transfer of a lottery license. If you are purchasing a business, the attorneys at McLaughlin & Nardi, LLC can assist you with the transfer of the lottery license. Call one of our attorneys at 973-890-0004 or e-mail us. Tagged: "New Jersey business purchases", "New Jersey lottery licenses" and "New Jersey sale of business"